And so Day 3 of my breakfast challenge continues. 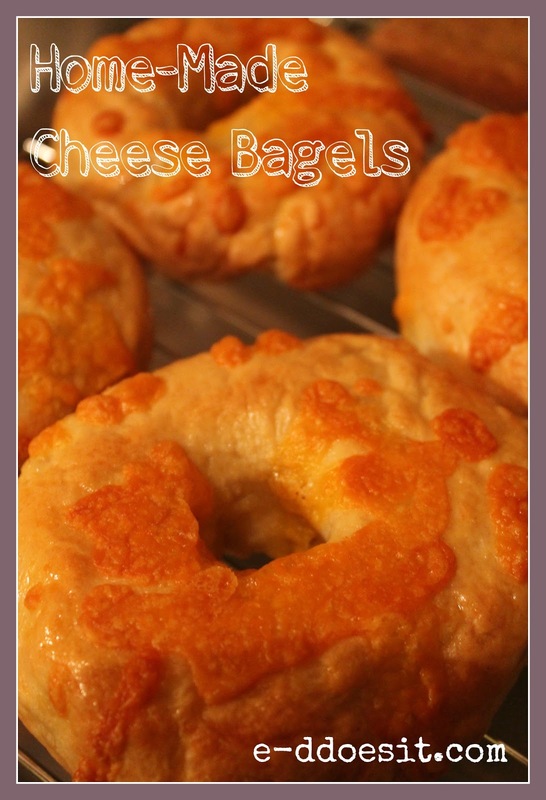 Now I know your going to say I've gone crazy when I suggest you make your own bagels. Why on earth would anyone do that? I have to admit, until this morning, I probably would have said the same thing. However, whilst flicking through one of my favourite recipe books last night 'Make Bake Love' by Lilly Higgins, I stumbled upon a recipe for bagels and she assured me it was pretty easy. So given that there was absolutely nothing on T.V. I decided I'd give it a go. Last night was a first in many regards, it was my first time making bagels and my first time using yeast (I know where have I been....under a rock?). All in all I have to say Lilly was right, I had the dough put together and in my hot press in no time! The difference between home-made bagels and shop bought bagels is nearly indescribable. They are actually so much better they should nearly be awarded a separate name! If you made these at the beginning of the week they would last you days, be it for breakfast, lunch or dinner. The scope for fillings is endless. 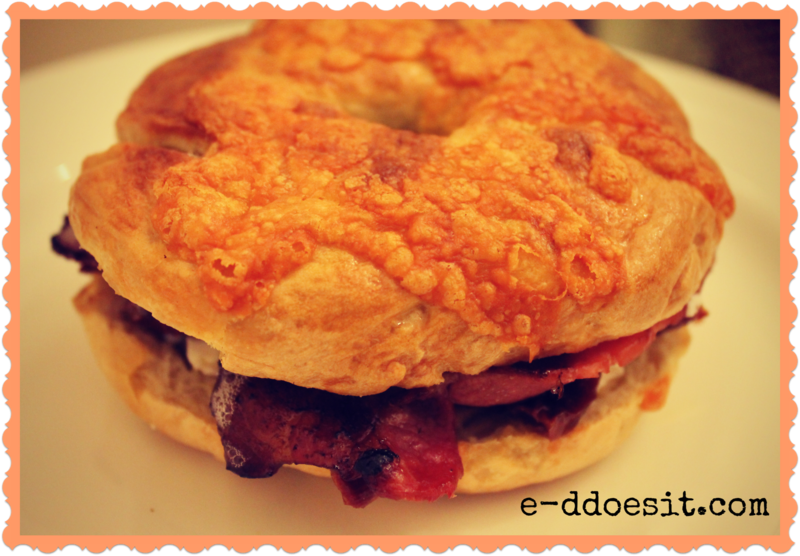 This morning I opted for a bacon, goats cheese and sun-dried tomato combo. That said I'm planning a smoked salmon and cream cheese number this evening when I get home from work. Below is a very slightly altered version of Lilly Higgins recipe (altered in that I tossed a load of cheese into my dough). Go on.....you can do it. want a cheesey flavour throughout the bagel). 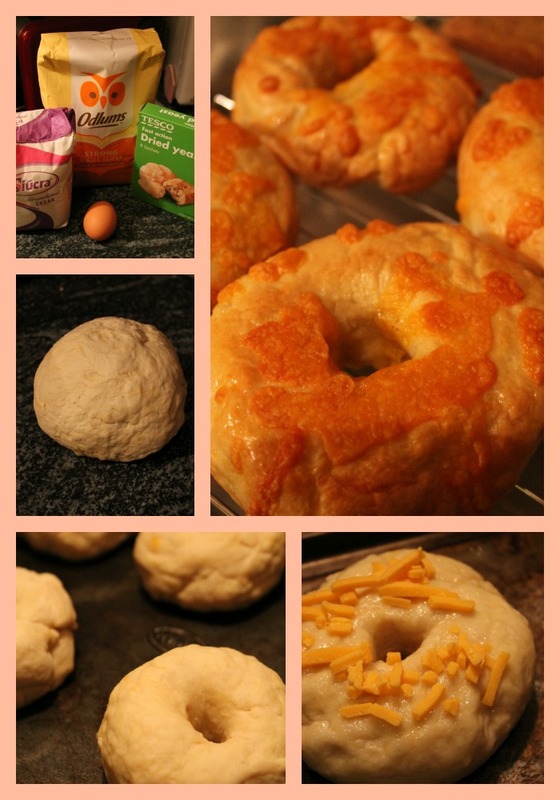 bun and using your thumb, make a hole in the middle and gently rotate to form a bagel shape. free place covered with a clean tea towel, or until doubled in size. 4. Preheat the oven to 180C. Grease 2 baking trays and bring a large pot of water to the boil. of boiling, put each bagel on a rack to dry slightly and drain any excess water. 1. Grill 2 pieces of bacon until crispy. 2. Finely chop the sun-dried tomatoes. 3. Toast the bagel and spread the goats cheese on the hot bagel. 4. Put it all together and devour! together. The book is available on Amazon and in all good bookshops in Ireland/U.K. for the week ahead. Excellent! 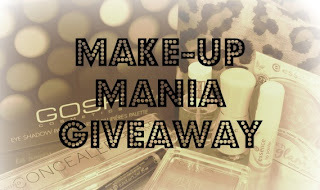 Remember to enter my Make-Up Mania Give-away for your chance to win a 'Make-Up Mania Collection'....including a GOSH palette for free! What's the catch you ask? There is none! The competition is open to everyone, everywhere. Click on the link (right) to see the details. Oh my goodness! I just gained ten pounds reading this! Now, off to make the bagels!! :) Great post! Thanks Cari! Absolutely delicious. And if your trying to be good you can always add poppy seeds instead of cheese!